The F. Bruce Peck Jr. Music Library at Classical Music Indy contains a wealth of classical recordings, many what you would expect – Beethoven, Bach, Brahms. We are also thrilled to house a number of albums that feature works by outstanding women composers like Clara Schumann, Nadia Boulanger, Valerie Coleman, and Jennifer Higdon. See what music is in our library and why we love it! Margaret Allison Bonds is an often-unsung master of classical music. Her first-rate works blend styles of African and European origin, and her compositions for voice and piano have profoundly moved audiences. Bonds is best known for her collaborations with the great African American poet Langston Hughes. 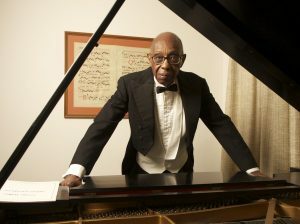 Read below about Bonds’ life, career, and musical contributions to the American classical music world. 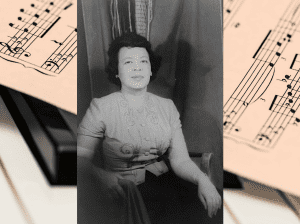 We put together a playlist of often unsung masterpieces by composers of African descent. Featuring music with a distinctly American sound by composers like William Grant Still and Florence Beatrice Price, and classical era music by French composer Joseph Bologne, Chevalier de Saint-Georges. It’s not fake news, it’s very real. This Month in Classical Music History is a series dedicated to finding stories of the good, the bad, and the downright weird. In this article, read about a Beethoven historian who blatantly made things up, the NY Phil’s Young People’s Concerts under Leonard Bernstein, and a scandalous dance scene from an opera that was so seductive, all subsequent performances were cancelled. It’s National Mentoring Month! What better time to take a look at one of the most influential music mentors in recent history? Nadia Boulanger was an incredible educator and taught the likes of Stravinsky, Copland, and Quincy Jones out of her apartment in Paris. 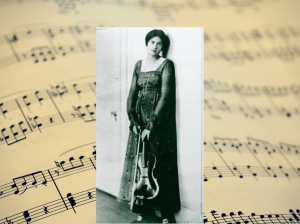 Read about her life and lasting impact on some of the most recognized composers of the 20th century. Jean Sibelius, Finland’s most acclaimed composer, was born on December 8, 1865. We salute him–and explore his enduring influence–with a list of beloved recordings.